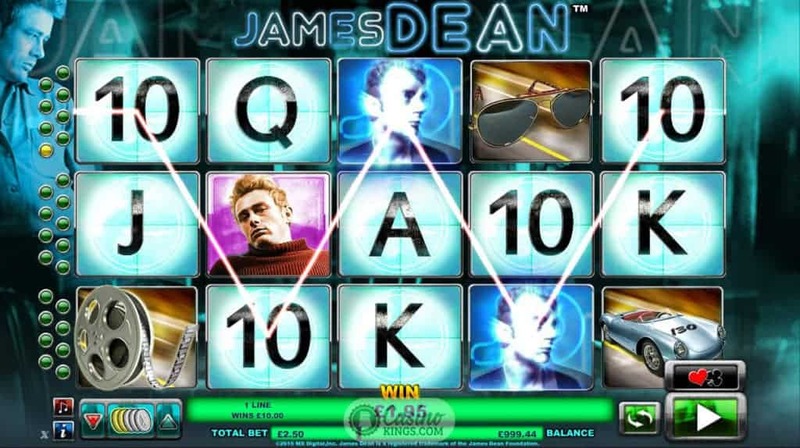 What needs to be said about James Dean, the actor and cultural icon who has inspired this James Dean slot game from NYX Gaming Group? James Dean only made three films, yet his popularity seems to grow with each passing year. 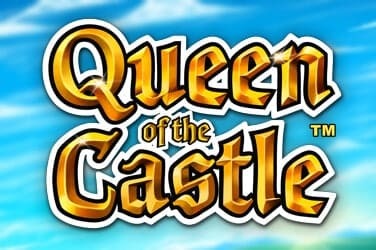 The only surprise is that it has taken one of the major online slot developers so long to release a slot title inspired by the legend. However, NYX have proved it was well worth the wait. James Dean is the Godfather of cool, so it is only right and fitting that NYX’s game design oozes style. The reels and reel case are washed over in cool blue, while an image of the legend himself watches over the five spinning reels from the edge of the reel case as we hunt for wins across the game’s 25 paylines. The reels themselves are decorated with iconic images resonant from the actor’s life and career. The high symbols are Dean’s Porsche Speedster, a Triumph motorcycle, a Film Reel and pair of Shades. The low symbols are regular 10s through Aces, but each lit up in a spotlight as bright as those which accompanied Dean’s glittering though short-lived career. Spinning the reels sends rock and roll tunes blasting out, bringing to life the 50s era in which James Dean made his name. 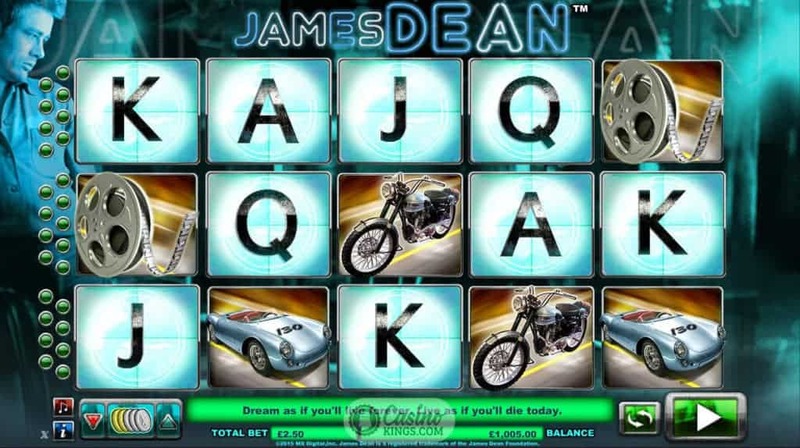 With icons from Dean’s life forming the game’s high symbols, James Dean fans could be forgiven for wondering where Dean himself is in the gameplay. NYX have pulled a masterstroke in saving the legend for James Dean’s bonus features. James Dean is Wild, substituting for all symbols except Scatters, and when three James Dean Wilds appear we win three re-spins with the Wild expanding on reel 2, 3 or 4. 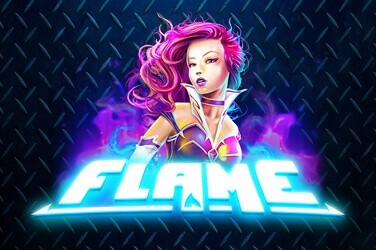 Three or more Scattered Walk Of Fame Stars launches the game’s Free Spins feature – to the tune of 10 free games with all prizes doubled. During the free games bonus feature we also have a new symbol on reel 3 – the Clapperboard. 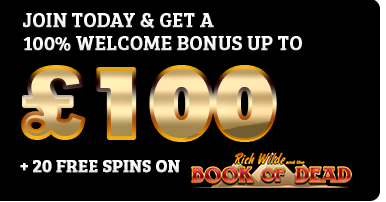 Any time the Clapperboard lands we receive extra Legend Spins – boosting our free spins by an additional three each time the Clapperboard appears. And to give us a shot of scooping the kind of pay packet that James Dean might have picked up from one of his movies NYX have also created the James Dean Pick Bonus, triggered when we land three or more secondary James Dean symbols – this time of Dean looking sultry in a red turtleneck. 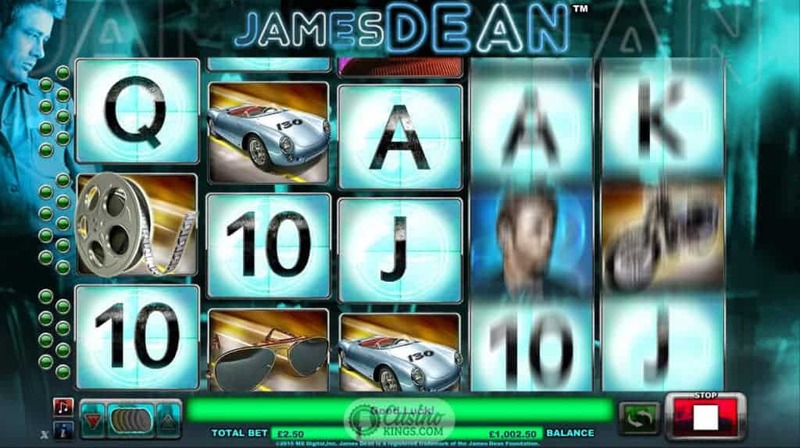 If we land three of these Deans during the base game we have a shot at winning up to 150x our triggering bet, but land them during the Free Spins bonus feature and we are looking up to a potential 300x our triggering bet. 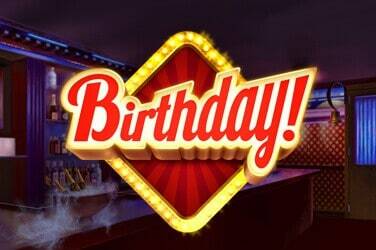 However, if we find these Deans during the Legend Spins we could be scooping up to a whopping 750x multiplier. Holy Dean! 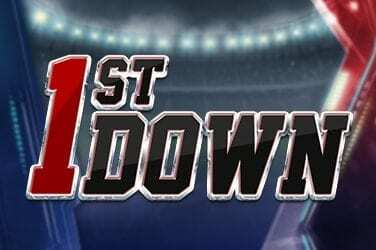 With such a legend at the heart of this online slot title NYX had plenty at stake. 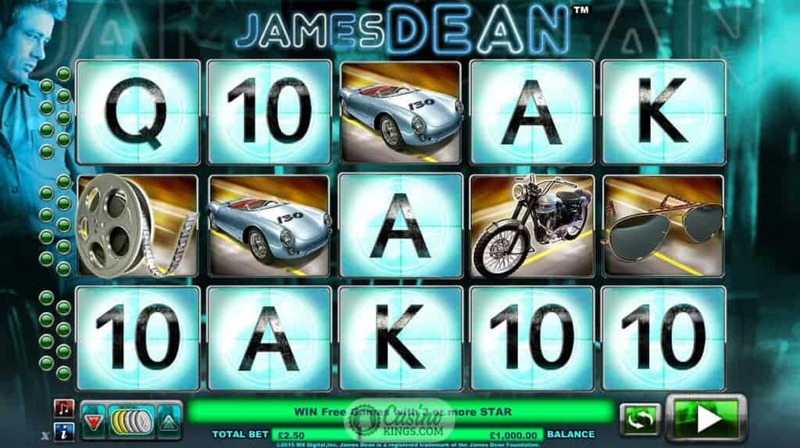 They have done justice to James Dean’s legacy with ice cool game design, a vibrant sound score and multiple bonus features that are as layered and slick as the great man himself.